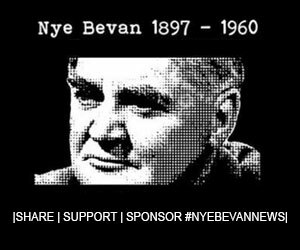 “I have always been very supportive of the Conservative NHS reforms. We could have done more when the plans were set out initially to explain the benefits for patients, and encourage the support of health professionals. Anna Soubry, former Health Minister under Jeremy Hunt making a statement in support of the Tory NHS privatisation agenda. In March 2012, a group of 240 doctors, including 30 professors wrote a letter of complaint describing the Bill as an “embarrassment to democracy” which had no support from professional healthcare organisations. They blamed the Bill’s supporters for putting the government’s survival “above professional opinion, patient safety and the will of the citizens of this country”. Anyone describing Anna Soubry as ‘not bad, for a Tory’ needs to do some research into their political opinions. Previous articleTories wait until last day of Parliament to announce the Great Brexit Betrayal.